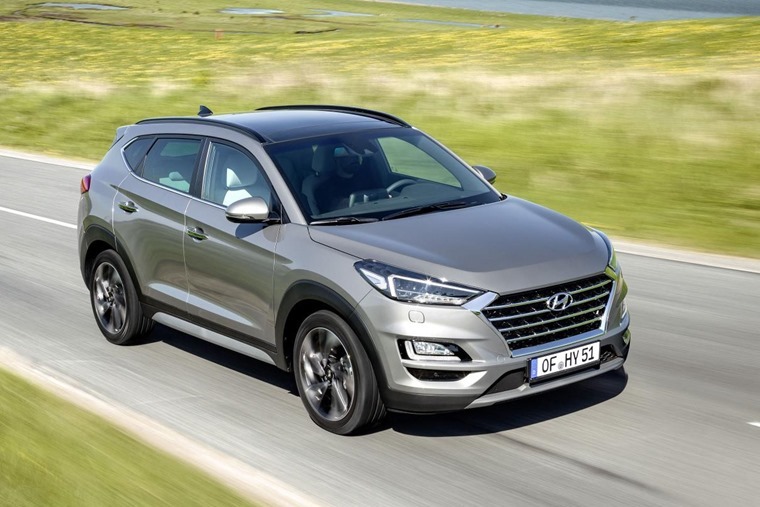 Having initially revealed its facelifted Tucson crossover at the New York International Auto Show, Hyundai has revealed more details ahead of its European debut in the summer. The new Hyundai Tucson will be the first model in the company’s line-up to be equipped with a fuel-efficient 48V mild hybrid diesel powertrain. The 48V mild hybrid powertrain system, available in combination with the 2.0 litre diesel engine, is designed for electrification and comprises a 0.44 kW/h 48-volt lithium-ion battery, a Mild Hybrid Starter Generator (MHSG), a LDC converter (Low Voltage DC/DC) and an inverter. Under acceleration the MHSG supports the engine with up to 12 kW and thereby reducing fuel consumption. The system switches automatically between mechanical use of the engine and energy recuperation and during in-gear deceleration and braking, energy is recuperated to recharge the battery to improve fuel economy and CO2 emissions. 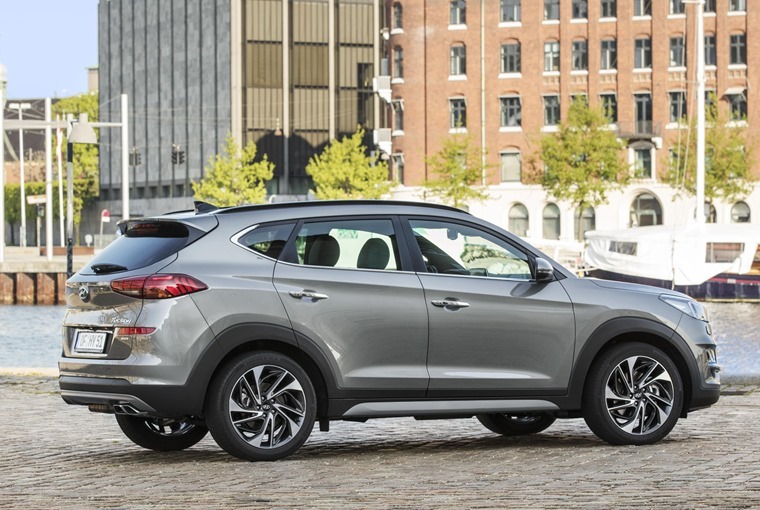 The 2018 Tucson also offers a major design update and wider range of advanced technology and convenience features to continue the model’s success. 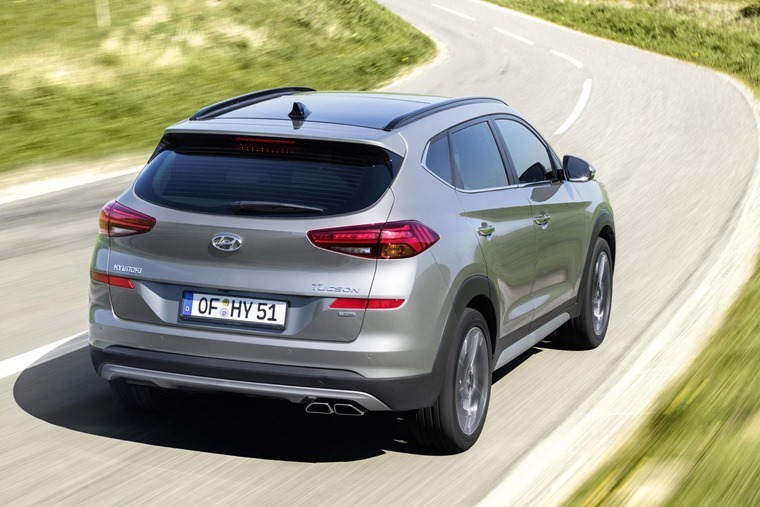 Although its silhouette remains unchanged, the exterior benefits from several tweaks. Up front, there’s a fresh ‘cascading’ grille design, a new LED lighting signature, and a redesigned bumper. The rear bumper has also been updated as have the tail lights, while new alloy wheels are available too. 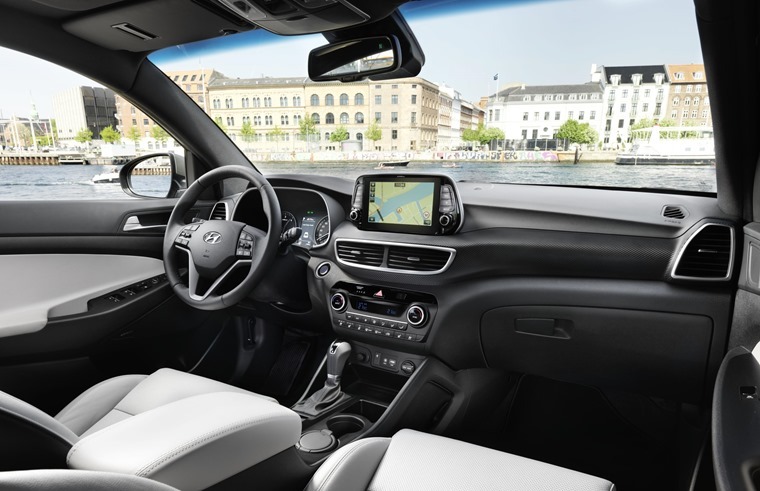 Inside, you’ll find an updated 7in touchscreen infotainment system that’s standard across the range, while a larger 8in screen is available on higher trim levels. The overall design of the interior is unchanged, but a premium Krell sound system and a wireless phone charge point is now available. There’s now a Surround View Camera on offer too, and safety updates usher in Automatic Emergency Braking, Driver Attention Warning and Lane Keep Assist. 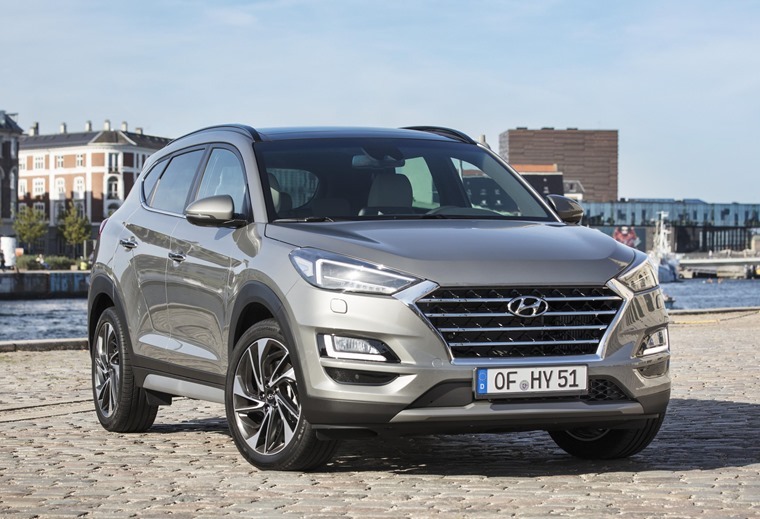 In addition to the mild hybrid diesel, it is expected that two diesels and two petrols will be offered, although it’s not yet clear whether all of these will be available in the UK. Entry-level cars are likely to get a 1.6-litre petrol engine producing 113bhp. This unit is not available with four-wheel drive and comes with a six-speed manual gearbox. A more powerful 174bhp petrol is also available however, and this will be offered with a four-wheel drive and a seven-speed dual-clutch transmission (DCT). The diesels include a 1.6-litre unit available with either 113bhp or 131bhp This replaces the ageing 1.7-litre unit available in the current car and is set to offer improved mpg and emission levels. The more potent version is available with the seven-speed DCT too. A more powerful 183bhp 2.0-litre diesel is also set to feature, which gets four-wheel drive as standard and is offered as a six-speed manual or eight-speed auto. Exact economy and performance stats are to be confirmed. By spring 2019, the 48V mild hybrid technology will be available with the new Smart Stream 1.6-litre diesel engine. No list prices or lease rates are available yet, but we’ll bring you the details as soon as they’re available. 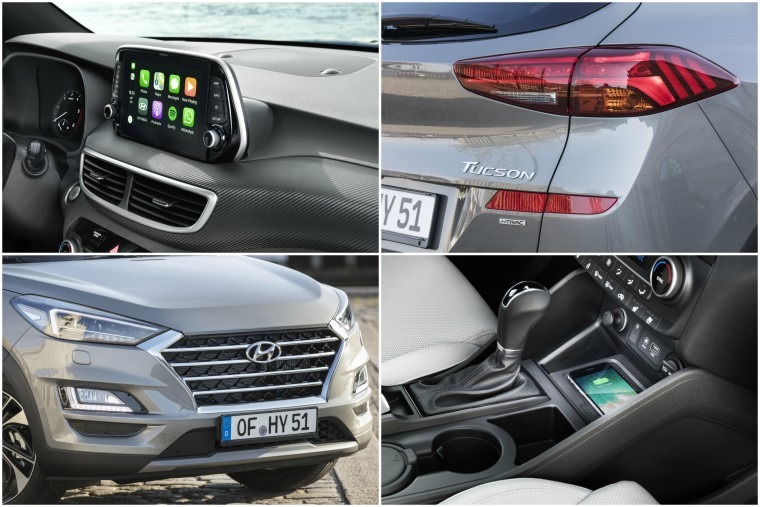 If you can’t wait for the new model, the current Tucson remains as attractive as ever – you can find lease deals here.